Our depth of implementation experience and extensive proven practices help you maximize your software investment and mitigate any risk. Clear Insight provides full project life-cycle services. We effectively orchestrate all aspects of your business systems projects, from initiation, through design and development, to production and support. 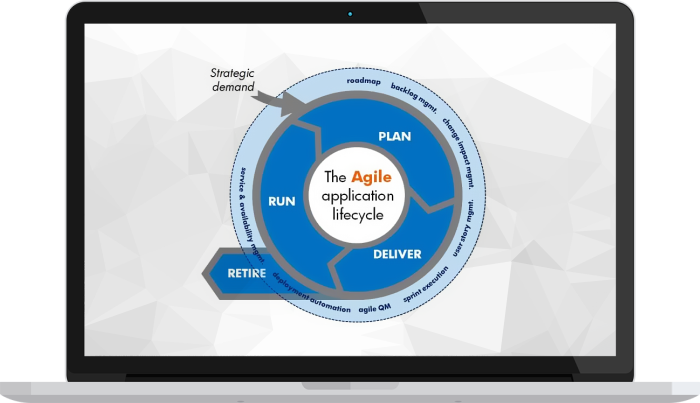 Our approach uses industry standard Agile-based implementation strategies combined with the expertise of our consultants. With a broad spectrum of successful implementations in a variety of industries, our solution architects and implementation teams bring industry best practices to our customers. At Clear Insight, we believe in a customer-centric, context-sensitive approach. Business changes are happening faster all the time, and software needs to be flexible enough to adapt to these changing realities. Rather than planning minute details for something that may or may not happen six months from now, we always focus on the high return-on-investment steps, while keeping the larger system view in perspective. Incrementally delivering parts of the solution ensures we can react to feedback throughout the project to ensure we deliver a high value solution, even as your business changes. Our implementation framework adheres to accepted industry standard while managing the exceptions as they appear, this results in more satisfied stakeholders. These standards include processes and methods published by Project Management Institute (PMI), Agile Alliance and Scrum Alliance. Engagements can be either time and materials or done on a fixed price basis. Upgrades allow you to take advantage of the new features and functionality software vendors have to offer. With a carefully planned upgrade it is possible to reap the benefits with minimal disruption. Get a free consultation to discuss your options.